Ideal for TV Writers, TV Producers, Development Executives, Screenwriters, and More! A well developed and written script is the single most important ingredient in producing a television show. Story, narrative structure, character development, dialogue, scale, scope and shelf-life are essential elements in TV, whether you’re writing a drama, comedy or producing a reality show. The most successful writers in the world today write for television. Mad Men. Dexter. True Blood. Modern Family. American Horror Story. 30 Rock. NCIS. Boardwalk Empire. Beyond Scared Straight. The Simpsons. Storage Wars. Game of Thrones. The list goes on and on. Whether you’re writing a scripted series for a network (CBS, NBC, ABC, Fox), premium cable (HBO, Showtime) or online (Hulu, Funny-or-Die, etc. ), or developing a reality series for A&E, Bravo, History or TLC, television is where today’s top writers and producers are finding their greatest success both creatively and financially. But how do you develop and write a show that gets on TV? 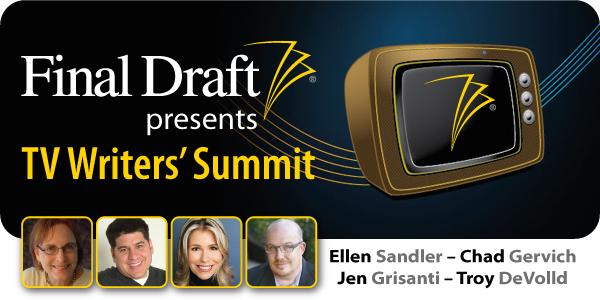 The TV Writers’ Summit brings together the four top speakers in the world on the art and craft of television writing – Chad Gervich, Ellen Sandler, Troy DeVolld and Jen Grisanti. Over two intense days, these four master teachers will provide you an unmatched depth and understanding of writing, story and producing all genres of TV (whether you’re writing a Comedy, Drama or working on a Reality idea) that is ideal for TV writers, producers and creative executives. Troy, Jen, Chad and Ellen will each teach half-day classes followed by a half-hour Q&A session in which you'll be able to follow-up with any questions you may have. The speakers having taken the time and care to share their outlines with each other to make sure they provide you the best, most engaging material possible without overlap. The VP of Current Programs at CBS, Alix Jaffe, said, "Jen Grisanti has great insight into working with writers. She has a special ability to nurture their vision, while being true to story structure, character and dialogue.Her notes are always clear, insightful and productive." Legendary NBC President Warren Littlefield said, "Who says learning can't be fun? Sitting in a classroom and listening to Chad Gervich teach gave me goose bumps - why didn't I have teachers like this? After his class I couldn't sleep that night - my mind was racing with possibilities. Must hear teaching!" Andrew Hoagland, Story Producer for the hit shows The Bachelor and Basketball Wives, said, "I doubt anyone knows more about the making of Reality television than Troy DeVolld." TV Writers	• TV Producers	• Development Executives • Screenwriters	• Creative Executives	• Actors • Producers	• And More! Don’t miss this rare opportunity to hear the four top speakers on TV writing in a single two-day weekend, as well as to network with other television writers. Whether you’re a first time TV writer, in the middle of a spec script, a working writer on a current show, developing a reality idea or just want to learn more about writing for television, you won’t want to miss the TV Writers’ Summit in London the weekend of January 26-27,2013 and Los Angeles the weekend of February 9-10, 2013! You've seen every episode of Modern Family. You've pored over each episode of NCIS. You've studied Survivor, Top Chef, and Deadliest Catch. And one thing's for sure: YOU have a better TV idea than any of them. The only problem is: in order to bring that idea to life, you need to pitch it… sell it… and navigate TV's development process. The TV Writers' Summit seminar details each step of selling a TV show in today's broadcast and cable landscape. We'll discuss the elements of every successful TV show… how to develop and organize them into a pitch… and when, where, and how to get them to the most appropriate buyers. A spec pilot is the current must-have sample script. While the thought of creating an original TV show may strike terror in your heart, the good news is... you don’t have to face it alone! 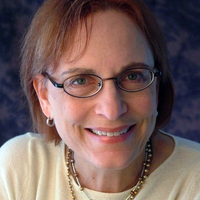 Whether your idea for a pilot is an hour, half hour, or even a three-minute webisode, Emmy-nominated expert Ellen Sandler can help you navigate the rocky waters of development. WHAT SPECS TO WRITE – Go into selecting which script to write. ADDING THEME, SYMBOLISM AND MESSAGES TO YOUR SCRIPT – I consider this the icing on the cake. It will take your script to the next level. Do we empathize with your central character? Do you start your story with a powerful dilemma? Is your goal clear? Do your pivotal points connect back to it? Why aren’t we talking about pitching shows until the end? STORY IS STORY, AND STORY IS WRITTEN. SORT OF. So Why Don’t I See Writers Credited on Reality Shows? What Does a Story Producer Do, Exactly? Chad Gervich has worked as a TV writer, producer, and executive. He’s written, developed, and produced shows for the Littlefield Company, Fox Television Studios, Paramount Television, NBC, Warner Bros., ABC, Fox Reality Channel, E! Entertainment Television, and 20th Century Fox. 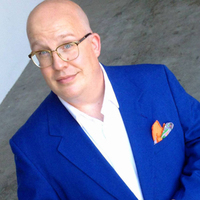 Troy DeVolld survived careers as an executive assistant and comic book artist before finding his way into Reality Television, where he currently works as a Supervising Producer. Since relocating to Los Angeles from Tampa, Florida, in late 2000, Troy has worked on many top Reality shows including The Osbournes, The Surreal Life, Dancing with the Stars, Flipping Out, and Basketball Wives. He shared a Daytime Emmy® nomination in 2009 as a Producer on Style Network’s Split Ends.